The Law Commission’s recommendation that capital punishment be carried out through lethal injection will further medicalise the death penalty. 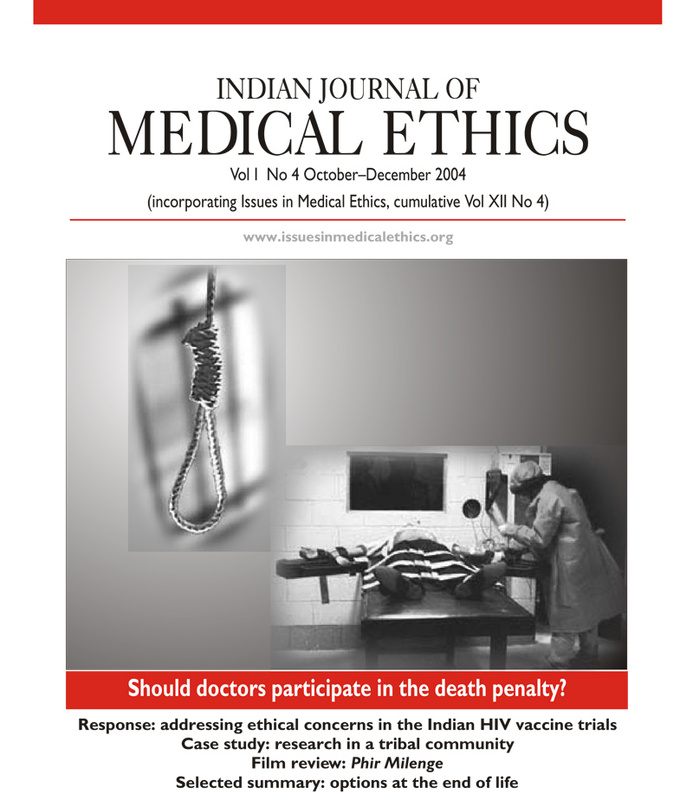 The editorial describes the history of the profession’s involvement in the death penalty and .calls for all health professionals to oppose any participation in execution. The Supreme Court’s ruling on criminal liability in medical negligence has been greeted with surprise. A senior legal professional comments on the ruling in the context of previous judgments onc:riminal medical negligence. Finally, the Selected Summary describes the evolving debate on end-of-life care in the USA and comments on the relevance of this subject to India. Purity of standards: at what price?